Home » Feng Shui » What Is Yin Yang? We hear a lot about Yin Yang and the balance of things. This concept comes from the Taoist philosophy or religion. Essentially is about living one’s life in balance. Of course it goes without saying that living a balanced life is to live a healthy life. Let’s delve further into what is really meant by Yin Yang and how it can help us in our everyday lives. The Tao philosophy or religion originates from 2,500 years ago in China. Basically the Tao translates as “the way”, meaning the way which is not explained any further. Perhaps essentially it is the way of life? The main tenet of Taoism sees the world as consisting of forces. Then for each force there is an equal and opposite reaction, therefore dark balances light, hard balances soft and so forth. Then of course we have the more modern literal translation of the Yin Yang symbol as action and non-action, perhaps simply work and play/healthy living. What is interesting about Taosim is no one God is worshiped, it is a mere philosophy or way of living, a belief system without a single deity. As a contradiction though Taoism contains many deities, worshiped in temples and which are part of the universe at large. The key concepts of Taoism include attaining harmony with nature, self-development, spiritual immortality and being virtuous but not in a goody-goody way! Up until the Chinese Communist revolution 50 or more years ago, Taosim was the most popular religion/philosophy in China! The main activities undertaken by a Taoist are meditation, fortune telling, feng shui, and the continual reading and chanting of scriptures. #1. 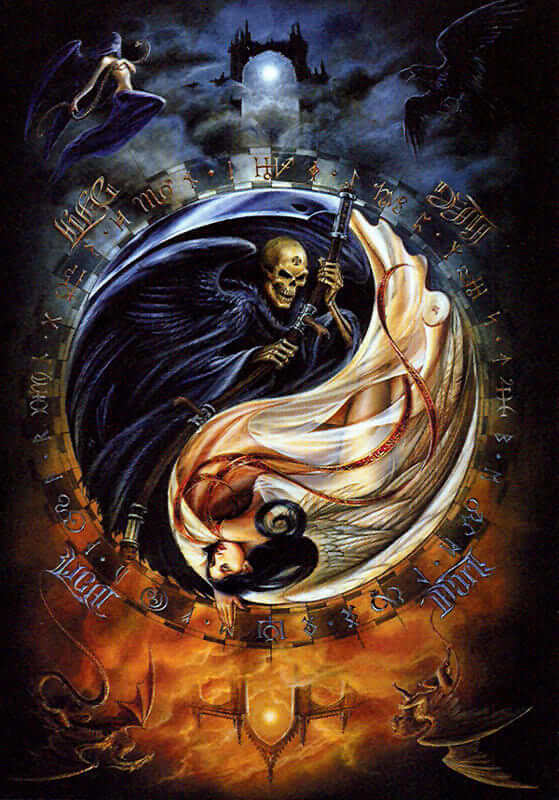 Yin and Yang change with time and do not stay constant. #2. Nothing is completely Yin or Yang. Where one ends the other finishes. #3. 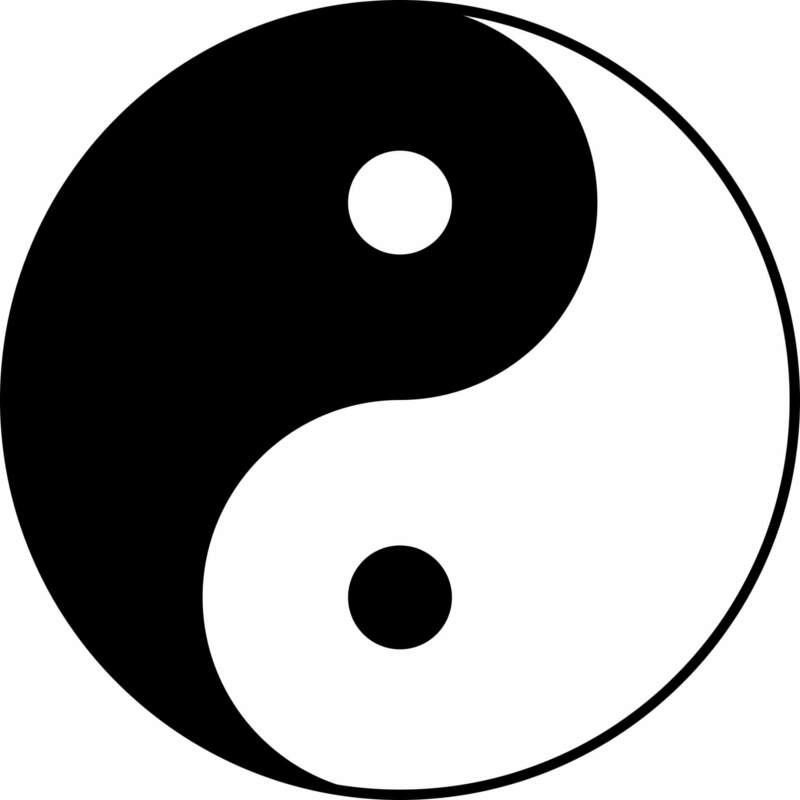 As either Yin or Yang changes the other changes to complete the balanced whole. #4. There are four main states of Yin Yang imbalance: Excess Yin, Deficiency Yin, Excess Yang, Deficiency Yang. #5. Yin and Yang can be further subdivided. i.e. Yin heat can then be subdivided into Yang heat too. In addition to the esoteric concepts of Taoism there are the practical aspects. For example, Qigong is based on movement and physical health, a way of keeping the body well if you like or balanced. The upper body corresponds to the Yang, the lower body represents the Yin. The Taoist philosophy like many religions advises us of certain actions to take in personal crisis, times of change and times of transformation (stages in our lives). What is interesting that unlike Buddhism which has much advice on different problems, times of life and of course personal crises, since that is when many people turn or turn back to religion, Taoism is rather vague. Sometimes the individual is told to go with the flow, go against the flow. It also depends if the change effects yourself or someone else. After all is said and done perhaps one of the most valuable lessons from the Taoism religion or philosophy is to balance our lives daily. This also fits in with a mental and physical balancing and eating healthily and feeding your mind with good literature and music as well allowing it to also enjoy McDonalds, listen to heavy rock or rap and relish that Coca Cola. Previous How To Calculate Attitude Number? Next How To Calculate Varnada Lagna?